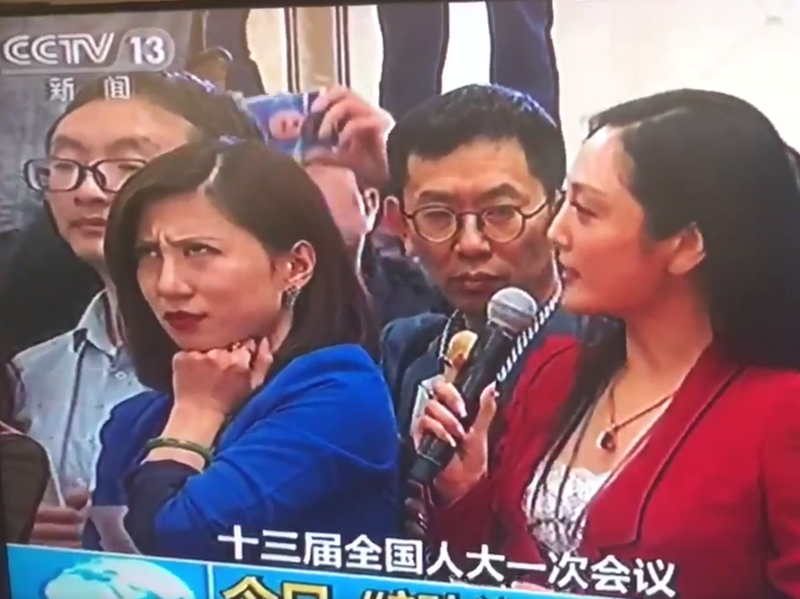 A screenshot of Liang Xiangyi, a financial news reporter, who was so disgusted by a fellow reporter's softball question to a government official at this week's National People's Congress that she was caught on live television rolling her eyes. The moment went viral. China's President Xi Jinping is seen on a large screen over delegates as he joins a session of the National People's Congress to vote on a constitutional amendment March 11. 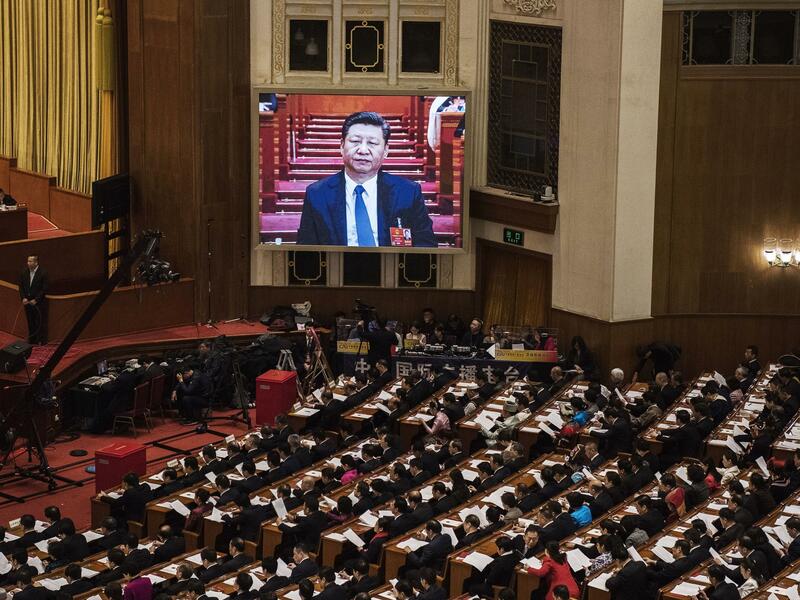 Chinese lawmakers abolished presidential term limits and paved the way for Xi Jinping to rule indefinitely. Liang Xiangyi, a young financial news reporter, was so disgusted on Tuesday by a fellow reporter's three-part softball question to a government official at this week's National People's Congress that she was caught on live television rolling her eyes, looking the questioner up and down in disbelief and then finally turning away. Within an hour, the video clip had gone viral on Chinese social media sites, a GIF of it posted and reposted until the meme took on a life of its own, inspiring copycats to post their own videos. The video's popularity was hardly surprising. Each year at this time, Chinese viewers have to put up with the state media's gushing coverage of the National People's Congress, a highly choreographed and scripted event where journalists are part of the act, their questions vetted — and often planted — by government officials before they're asked. Liang's eye-rolling response to her sycophantic colleague was a rare moment of spontaneity, a natural human reaction to a mechanized pageant of autocracy. But in an autocracy, the empire usually strikes back: By the end of the day, Liang Xiangyi's name had been censored on China's largest search engines, the video deleted from Chinese websites and millions of Chinese netizens were suddenly worried about what would become of their newfound hero. Yicai, the financial news organization she works for, has reportedly removed Liang from their coverage team of the National People's Congress, and it's a good bet Chinese journalists are being told by their supervisors that from now on, they'd best be keeping any negative reactions — to the Congress and the annual theater surrounding it — to themselves.